In our best efforts to guide youth to becoming meaningful leaders in their lives, we can employ many useful tools which bolster future opportunities. Empowerment, perseverance, confidence and an entrepreneurial spirit are important notions for all kids to have in their back pockets, but equally as necessary is the one-on-one experience of a personal mentor. Young adults who had a mentor are over 130% more likely to hold leadership positions, states Mentoring.org, and MergeLane CEO, Sue Heilbronner is putting that statistic to the test. As a former civil rights attorney and successful entrepreneur, Sue has led companies in the interactive travel, digital publishing, e-commerce, and online education sectors, and she was the creative catalyst behind Avid4 Adventure’s exciting new leadership camp for high school girls. Jennifer Fontaine: Why do you believe mentorship is an invaluable way to shape our future leaders? Sue Heilbronner: I think mentors of any kind are invaluable to people who are interested in being mentored and eager to learn. There is a tremendous value to a mentee seeing leaders of all different types, including men and women, and getting a chance to be mentored by someone who is a champion of changing the ratio of women’s leadership in companies, government, and nonprofits is meaningful. Of course, the more women who escalate to positions of leadership in our culture, the more examples and mentors young women and girls will have to help shine a light on the path ahead. JF: Throughout your long career as a leader in business and as a mentor to many, what have you identified as the key components to developing leadership skills in youth? SH: I believe strongly that high levels of leadership can be developed over time and with study and trial and error. In our culture, we often confuse “leadership” with “extrovert,” and I love that as a culture we are expanding our views on what leadership looks like. One fundamental issue for girls and women is retaining their sense of self through the pressures that they face, many of which start as early as middle school. These are pressures that often translate into minimizing girls’ talents and drive to “fit in.” I have seen infinite examples of interrupting these patterns in girls of any age, and I think Avid4 Adventure’s Girls Leadership Camp will dive into those beliefs, motivations, and limitations and increase the participants’ awareness in an important way. JF: The outdoors plays a major role in this MergeLane/Avid4 Adventure partnership. What was its pivotal importance in creating the leadership camp’s curriculum? SH: I’m a huge believer in movement and the outdoors as components of learning. Our Leadership Camps with adults always include hikes as options to integrate learning and explore big questions. 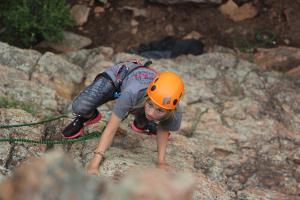 Partnering with Avid4 Adventure for Girls Leadership Camp takes this belief to the next level. Getting outside is so much more than just “taking a break,” the staff will build-in leadership training in this adventure context, challenging the participants to try something new, take a risk, and see what leadership looks like in a way that often is overlooked in corporate settings. This unique 5-day Boulder-based program aims to aid young women in honing their leadership skills and provoking thoughtful exploration of their future dreams and goals. 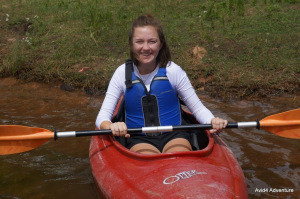 “At MergeLane, we want to back extraordinarily talented leaders with tenacity and a deep passion for their business,” declares Heilbronner, and that’s precisely what her galvanizing partnership with Avid4 Adventure’s Girl Leadership Camp aspires to achieve. This blog was originally published on Avid4Adventure.